Another busy week, and a very late post on my thoughts about the last episode. Well the camp arc lasted much shorter than I anticipated/ hoped for. 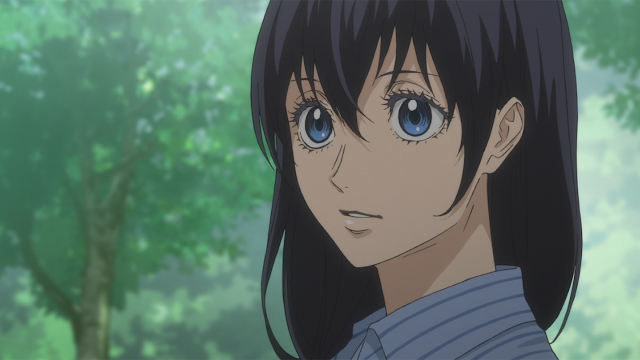 I kind of wished it was longer than two episodes, since I loved the connections that were developing between Shizuku, Hyoudou, Tatara, Chinatsu, Mako and Gaju. The blind dancing stint Shizuku and Hyoudou suggest Tatara and Chinatsu to do was a total flop. Just shows that the both of them need more practice with each other if they want to become stronger as dance partners. They're working out the kinks in their relationship after Chinatsu bombed Tatara last episode, but boy.. they need to get it together in two weeks if they want to beat out Akira and Kugimiya. 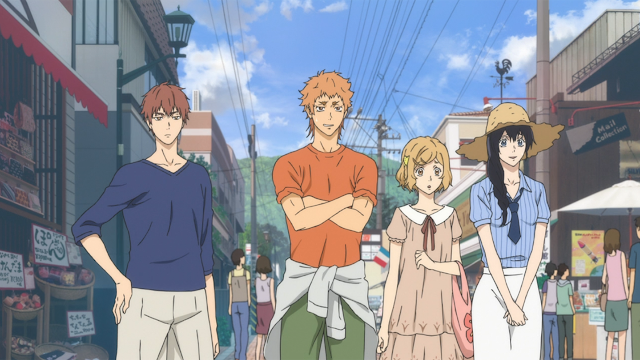 And how cute was it that Hyoudou dragged Chinatsu out of bed to work things out with Tatara? Like finally Hyoudou actually has a compassionate side to him besides the cold glares we're used to see him shoot at others every episode. l guess Hyoudou's point about Chinatsu and Tatara not being the best dance couple they could be is because of their lack of communication/ tempo/ balance, had merit to it. It didn't register in my mind that Tatara should have told Chinatsu that his "first" dance partner was Mako, that goes to show the lack of communication, well at least on Tatara's side. Chinatsu's been transparent from what we've seen, she's not afraid to speak her mind, and Tatara knows her dance history. The reminder of the episode were the parts I enjoyed the most. For some reason I'm really enjoying the six main characters (even Gaju), and I loved every aspect that they were all communicating with one another on a much more deeper level than what was shown prior to this episode. Moments like shizuku confessing her sins to Tatara and questioning if her request to have Tatara at the next Misaka Cup was too stressful, and Mako plus Chinatsu getting to learn more about each other via Tatara, were missing. It's these type of deep interactions, which were absent up until now, that I wanted to see more from the anime. Most of the anime was jumping from competition to competition, and everything in between was what I craved more. I wish that the studio expanded the camp arc to one more episode cause two episodes were not enough! 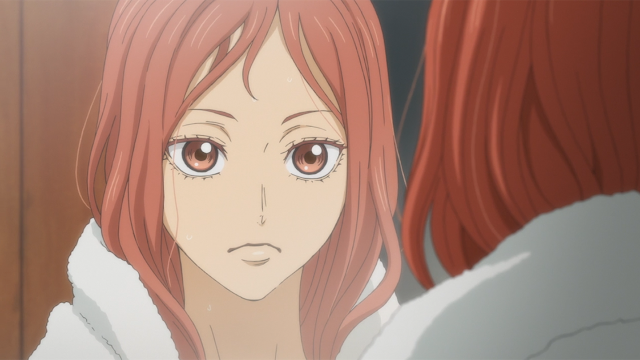 By the end of the episode Tatara and Chinatsu made up, Chinatsu declared that if they don't win the Tokyo Competition, she's going to break from Tatara, and they capped off with what seemed like more vigorous practicing. I was like... okay Chinatsu.. is that what you really want? I don't want them to split. They can't split! Chinatsu is best girl for God's sake! We'll see.. We have seven episodes left, I would be damn salty if they lost the Tokyo tournament, and split up. 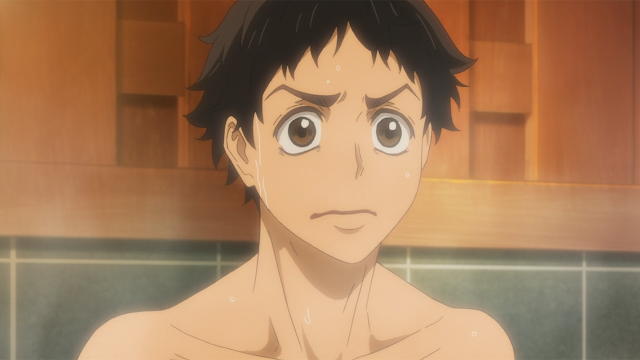 I don't think Production I.G. wants to take that route to end the anime. On a positive note, tomorrow's episode is where Chinatsu's rose dress makes it's appearance!